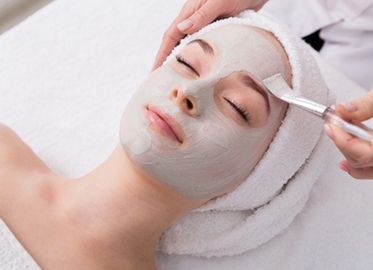 Both treatments include double cleanse, exfoliant, extractions, mask (one custom mask for regular facial and two masks-custom and multi-vitamin for microderm facial), and shoulder, neck, hand or foot massage! Ask about special rose or strawberry mask options for a Valentine’s Day treat! I am not above getting myself a Valentine’s Day gift or subtly suggesting a great gift to “someone.” That is why I am so excited about today’s gift of a deal: choice of a 60-minute facial with a peel and mask for $39 or an 80-minute microdermabrasion facial with two masks and mild exfoliant for just $45! Plus, each treatment comes with beer, wine, or tea and a pampering neck, shoulder, hand or foot massage!